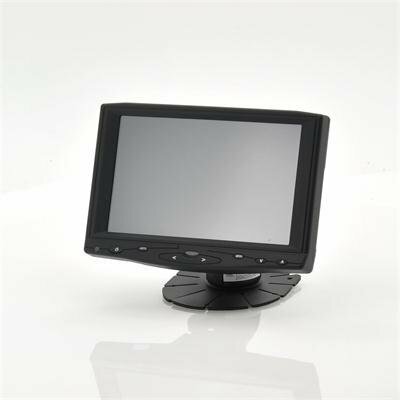 Successfully Added 7 Inch HD Touchscreen Car Monitor (HDMI, AV, VGA) to your Shopping Cart. With its HDMI signal input and 7" LCD touchscreen along with 2 AV inputs, and an outstanding display in a crystal clear 1720x1440 pixels. 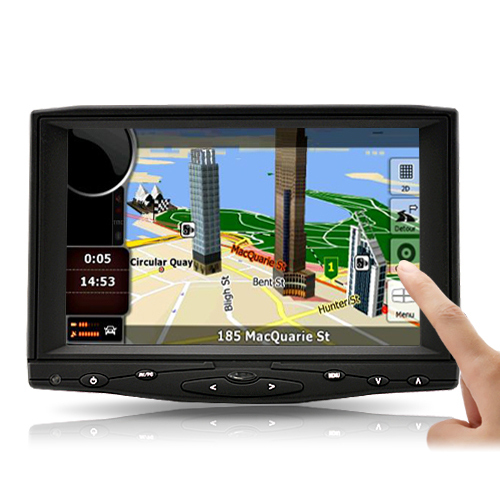 This 7 inch HD touch screen car monitor comes with display driver auto-install for Windows users, Linux and MAC. It also comes with an HDMI port, a built-in stylus and a fold-in stand that allows for desktop and tablet-style usage. This multi-purpose touchscreen monitor with VGA & HDMI input provides an easy way of using your PC in the car. Simply pair this car touchscreen monitor with a WiFi enabled laptop/notebook computer and finally have Internet in your car, like you've always wanted. This touchscreen monitor also includes three AV inputs so you can integrate it with your car's rear view camera and AV systems easily. This car based monitor also allows mouse cursor control with a stylus or finger, giving you freedom over your in-car user experience. The monitor is great, picture quality is good. The combination of HDMI and VGA input makes it really useful for our troubleshooting needs. The power adapter is an international one with an adapter, it works but is a little finicky, fortunately I have plenty of compatible 12V regulated power supplies.